Australia’s new eInvoicing framework is about to be rolled out. 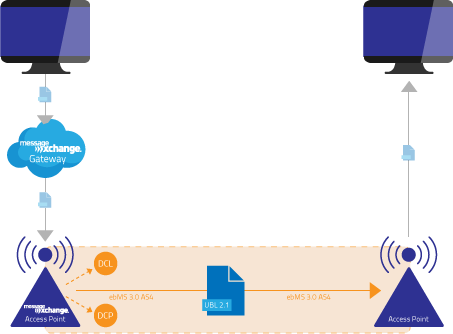 MessageXchange can be your organisation’s Digital Capabilities Publisher (DCP) to enable you to be part of the network for sending and receiving eInvoices. MessageXchange’s DCP service allows you to add and maintain your organisation’s eInvoicing capabilities all from a web browser. Once you’ve signed up, enter your information and we’ll populate the DCP. That’s all you’ll need to be able to receive eInvoices using the eInvoicing standards. MessageXchange has been closely involved in the development of the eInvoicing standards by the Digital Business Council. With the standards about to be rolled out, several MessageXchange eInvoicing pilots are underway. MessageXchange has extensive experience in mapping and integration, particularly for SuperStream and Standard Business Reporting, as well as the supply chain, logistics, manufacturing and financial services industries. Our eInvoicing Gateway is hosted in Australia and comes with a guaranteed service level and proven reliability. Looking for a free eInvoicing portal? Check out our partner, Colladium. It’s free to use and complies with the eInvoicing standards!